First of all, JJ, how dare you? Imagine how exciting it must have been as a kid in May of 1977, sitting down to watch the first Star Wars movie. Beforehand you?d?ve had no idea that your tiny little mind was about to be blown by one of the most inventive, colourful, exciting and groundbreaking pieces of sci-fi action cinema in history. Then again, based on the excitement surrounding the latest Star Wars film, maybe knowing in advance wouldn?t have helped much. In returning to the Star Wars franchise after the terrible prequels we as a species are trying hard to wipe from our collective memories, director JJ Abrams is looking to that Original Trilogy for inspiration. And fans are getting pretty excited at the prospect of simple, classic storytelling; practical effects; no trade negotiations; and a collection of familiar faces. Plenty of the first few appeared in the first teaser for The Force Awakens, the official subtitle of Episode VII, and the latter finally popped up with a voiceover from Luke Skywalker and a cameo from Han and Chewie at the end in the one released today. Like the first clip, this new teaser is stuffed with exciting images and scenes both nostalgic and refreshing. Which people are obviously going crazy for. As it the case with many an Abrams project, though, it raised more queries than it answered. The dude loves his mystery boxes. And so now fans still have to puzzle out the plot, the characters, and how all these new scenes, stars and special effects play into the grand tapestry of a galaxy far, far away. 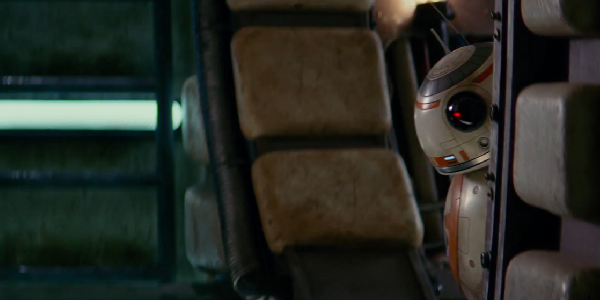 Here are ten major questions from the new Star Wars: The Force Awakens trailer. #DryJanuary and #Veganuary and Marathon training.